SERVING THE NEEDS OF TEXAS HOMESCHOOLERS FOR 29 YEARS...AND COUNTING! Are you new to Homeschooling...or new to Homeschooling in Texas? NTHEN can help you discover what Home Education can offer. The first step is to think through why it is you are considering Homeschooling right now. What is prompting you to look into Homeschooling? What will Homeschooling help you achieve? Are you considering Homeschooling as a short term answer to an immediate problem, or do you see Homeschooling with more of a long view? We encourage you to begin (your Homeschooling journey) with the end in mind. In other words, what outcomes do you hope to accomplish? Write it down. Talk about it. Begin to develop a plan and a purpose for educating your child(ren) at home. Do your homework (pun intended)!! 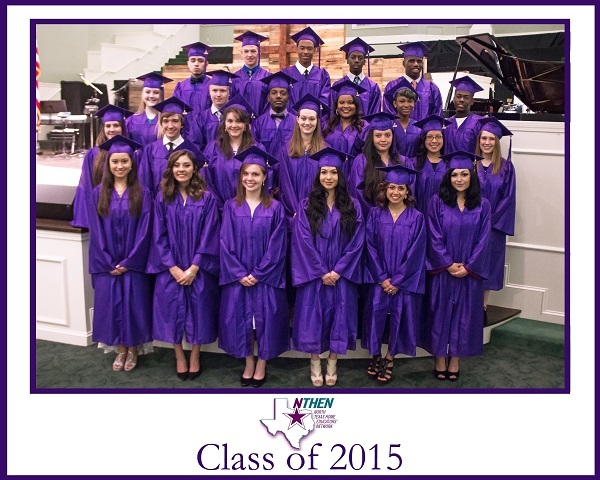 The 27th annual NTHEN sponsored Graduation and Commencement Ceremony will be held on Saturday May 25, 2019 at 2:00pm in the sanctuary of Arapaho Road Baptist Church Garland, Texas with the traditional Graduate's Reception following in the fellowship hall. Graduating Home Educated seniors from the DFW Metroplex and throughout Texas are invited to participated in this beautiful and unique event, supported and honored by hundreds of their family and friends attending.